LOS ANGELES–(BUSINESS WIRE)–Two Bit Circus, an engineering entertainment company, today released a new survey report highlighting the gender gap in STEM (science, technology, engineering, math)-based activities for children, revealing art as the key entry point to STEM, especially for girls. Two Bit Circus recently surveyed an audience of more than 500 parents to understand gender differentiators in how children play and learn in relation to STEM/STEAM (science, technology, engineering, art, math) activities. The report uncovers key insights on children’s educational interests and preferences for extracurricular activities and also shows a lack of awareness for STEM/STEAM in general. In fact, 47 percent of parents are unfamiliar with STEM/STEAM toys such as chemistry sets, microscopes, Arduinos, etc. And surprisingly both boys and girls share similar levels of interest in science and math in school, but girls are far more likely to prefer arts and crafts inside and outside of school than boys. This points to why there has been such a strong push for STEAM in order to help close the gender gap in STEM. To drive momentum for the STEAM movement and blend creativity, curiosity and critical thinking to inspire the next generation of inventors, Two Bit Circus is launching a Kickstarter campaign to support the creation of Oomiyu, a paper craft and technology kit. 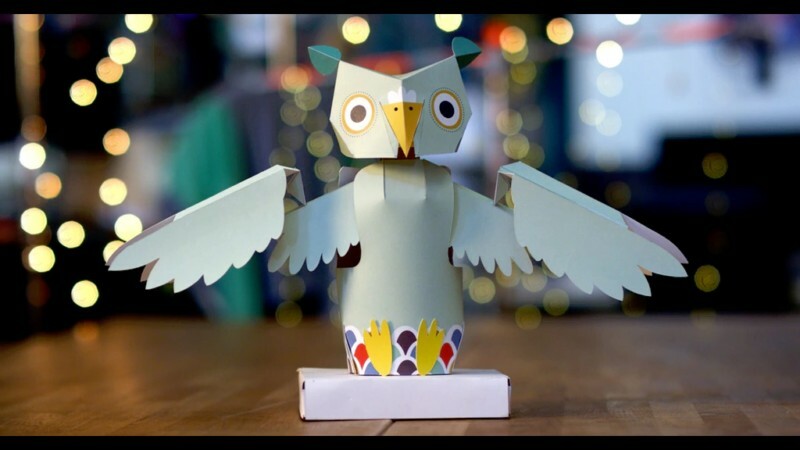 By allowing beginner inventors to build a fun, customized and interactive paper craft robotic owl, kids get hands-on experience with basic mechanical principles, electronics and programming that combined creates a unique STEAM experience. 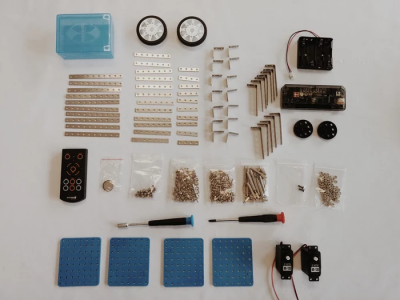 This maker kit is designed to bring art alive through creative innovation, combining art with STEM for a well-rounded and engaging creativity platform. Oomiyu, a customizable platform, allows children to build, design, customize and program a paper creature to move, respond and emote to various stimuli. A companion mobile app and open source software extend the possibilities even further. Simple connectors make it easy to add new features and the included Arduino 101 packs powerful features like Bluetooth low-energy (enables easy connection to other devices and the internet) and machine learning (enables other pattern matching behaviors). Also included in the maker kit are off-the-shelf components like LEDs, motors and paper patterns. The new Oomiyu maker kit offers a unique balance of design elements combined with more technical aspects of personalized programming for a craft that lives beautifully with technology. This crowd-sourced funding campaign hopes to reach its goal of $72,921 USD* within the next 30 days, or about 500 units sold. The cost of Oomiyu is $150. For more information about Oomiyu visit the Kickstarter campaign page. Two Bit Circus is a location-based entertainment company creating the future of fun. The team of artists, inventors, educators and performers builds social games and experiences that aim to inspire, engage and reinvent the way people play. For more information, visit www.twobitcircus.com or follow @TwoBitCircus. Launched this morning on Kickstarter, Little Robot Friends (LRF) are an exciting addition to any modern learning environment. Cute and programmable, these robotic characters serve as a novel entry-point for learning code and electronics along with crucial STEM/STEAM skills. available pre-assembled or as DIY kits for those looking to build their soldering skills. 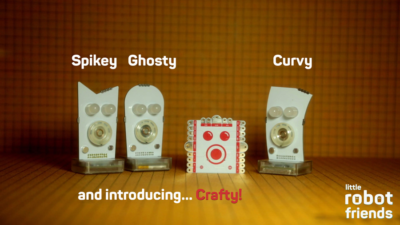 Crafty comes as a kit with all the same components as the other robots, but those components are modular and reusable. This provides an endless combination of interaction possibilities for modelling STEAM topics. Little Robot Friends characters evolve organically through play or can be customizable through coding. objects. Little Robot Friends bridges the gap between the technical and non-technical skills in a playful way by utilizing soft skills such as teamwork, collaboration and critical thinking. problem solvers in a increasingly technology-dependent world. Robot Friends provides illustrative educational materials meant for both classroom learning and individual exploration. Instructors are aided by the easy-to-follow lessons plans that support core curricular items such as math, science and language arts. The robots friendly persona and tactile design encourages experiential learning, either independently or in groups. Little Robot Friends have been designed to facilitate learning across subjects and disciples to make technology more accessible and fun. engineering and mathematics, also known as STEM education. off of the retail price. For more information, visit the Kickstarter page here. VEX IQ is a robotics platform designed to transform STEM learning for young students and their teachers. Students as young as 8 can jump right in and snap robots together using the intuitive, toolless platform while educators can utilize the free VEX IQ Curriculum to help teach students valuable lessons and skills that are needed in today’s changing world. 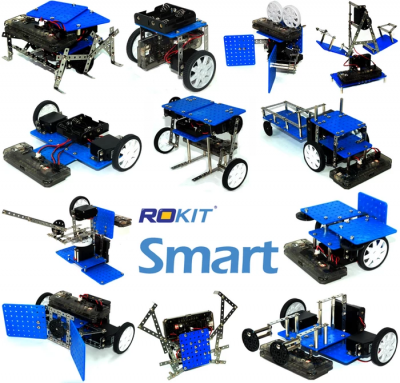 Complete VEX IQ Starter Kits start at $249.99 and contain everything needed to build a drivable robot. The VEX IQ Super Kit, at $299.99, includes everything found in a Starter Kit plus a full array of sensors. The VEX IQ Challenge, presented by the Robotics Education & Competition Foundation, is a brand new STEM program for elementary and middle school students (ages 8-14). Students, with guidance from their teachers and mentors, will build a robot using the VEX IQ robotics platform to solve an engineering challenge presented in the form of a game. VEX IQ Challenge teams will work together scoring points in Teamwork Matches, and also display their robot’s skills individually in driver controlled and autonomous Skills Challenges. In addition to building robots, the VEX IQ Challenge encourages students to actively learn about science, technology, engineering and mathematics with a STEM themed research project that consists of a written or media presentation. Registration for a VEX IQ Challenge team costs $100. Additional teams from the same schools can register for $50. Tournament entry fees vary by event. What software & programming options are available for VEX IQ? 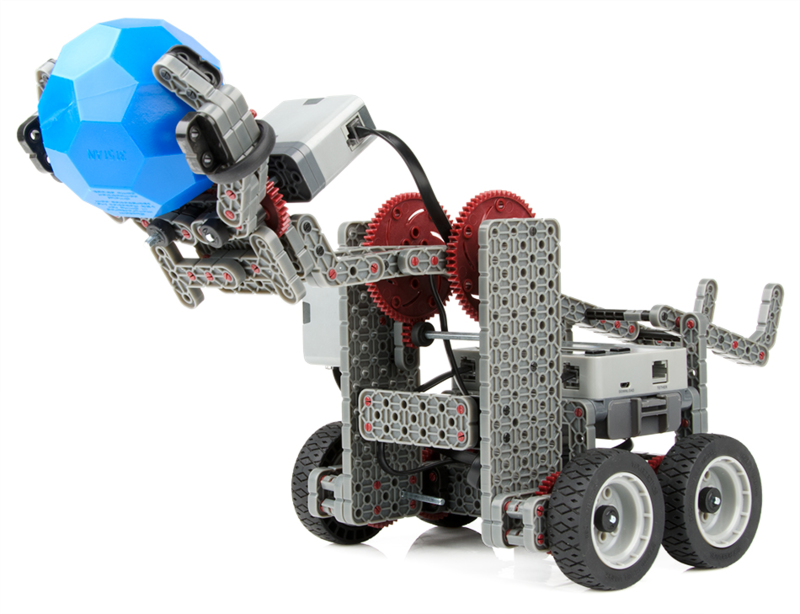 VEX IQ robot kits come pre-programmed with built-in default functionality. 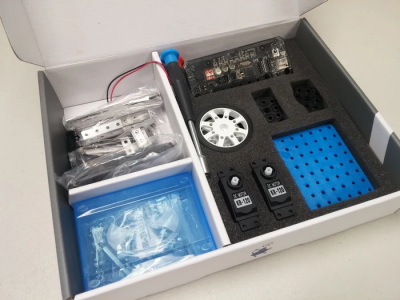 The Robot Brain contains a Driver Control program that allows students to drive their robots as soon as they’re built, and each Smart Sensor will perform a default action when plugged in to any of the Robot Brain’s Smart Ports. For example, the Gyro Sensor will always keep the robot facing forward, which creates a great learning opportunity for a curious student – how does a gyro work? How else can we apply this technology? For advanced opportunities, the VEX IQ Robot Brain can be programmed using one of two software options from VEX partners. Robomatter’s ROBOTC 4.0 is a C-based programming language supported by Carnegie Mellon University’s Robotics Academy, and the free Modkit for VEX is a graphical dragand-drop programming environment inspired by MIT’s popular “Scratch” language. Autodesk has also created a design package, VEX Assembler, that brings the modern principles of computer-aided design (CAD) into an easy-to-use drag-and-drop interface. How can educators use VEX IQ? In addition to the VEX IQ Challenge, educators can access a free online curriculum designed for classroom use and mapped to US national STEM standards for grades 2-8 (NGSS, STL, and Common Core). With student handouts, teachers’ guides, and custom projects, the flexible VEX IQ curriculum can be scaled for everything from an after school STEM club to a dedicated class period. By exciting and inspiring students through robotics, the VEX IQ curriculum instills proper engineering practices from an early age, while maintaining the fun and excitement that comes from playing with VEX IQ. Is VEX IQ available internationally? Yes, VEX IQ is available worldwide.